Come stay at Sea-Cote and learn why we are one of the premier holiday destinations on the Fylde Coast. For all enquiries, bookings and brochures, contact us directly by telephone on 01253 354435, in writing, by email using the details above, Alternatively you can contact us now! 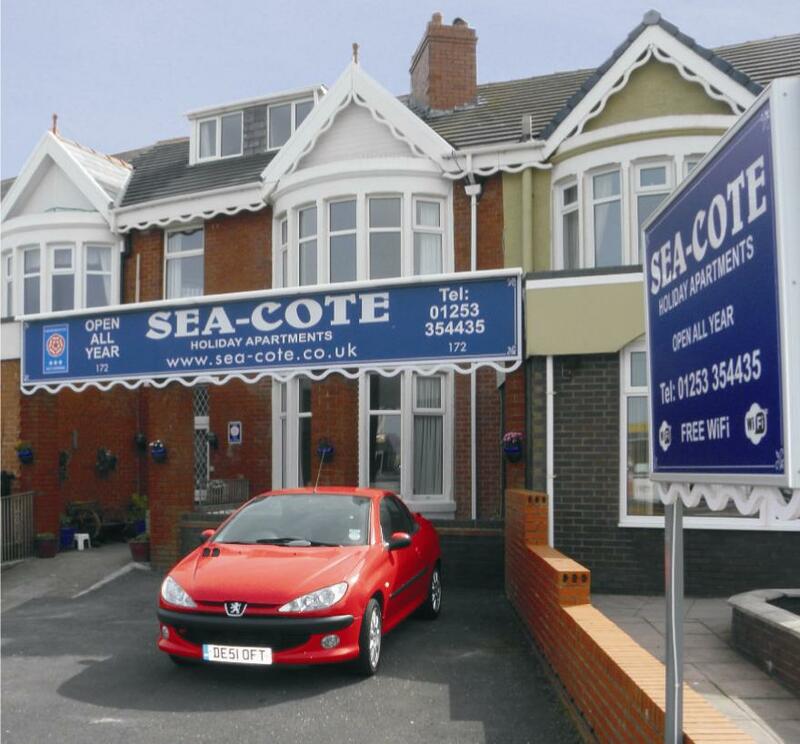 As owners, we like to think of Sea-Cote as your home from home, situated in a lovely select area on Queen's Promenade. All the apartments are fully self-contained. They are equipped, furnished and decorated to a high standard. During the last 26 years, we have continually maintained a very high standard. I am sure that if you do decide to stay at Sea-Cote apartments you will become a regular visitor due to the cleanliness, comfort, service and facilities we offer to ensure your holiday is an enjoyable one. Throughout the Winter we offer special rates for residents of mobile homes who have to leave the site for several weeks. We offer fantastic rates for a minimum of 2 people wanting a short break away for 3 days or 3 nights. The Sea-Cote Holiday Apartments are among the most popular self catering apartments in Blackpool occupying a prominent position on Queen's Promenade, overlooking the Irish Sea and Illuminations. Sea-Cote is situated opposite tram and bus stops, and a short 4 minute walk to Bispham’s busy local shops, restaurants and large Sainsbury's Store.